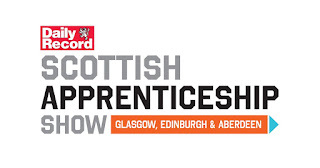 The Daily Record are providing youngsters with everything they need to know about becoming an apprentice at the second Scottish Apprenticeship Show. It's a unique opportunity for young people and the nation's top employers to come together face to face in a lively and friendly environment. Scotland's key employment categories will all be represented so whether it's information on a career in engineering and manufacturing or media and communications, there will be something for everyone. Young people can ask questions, get answers and make informed choices about their future. Parents and carers can also get involved and find out why an apprenticeship could be the right move for their children. The event will be held at the Edinburgh International Conference Centre on Sunday 1 October 10.30am - 4pm and Monday 2 October 9.30am - 3.30pm. 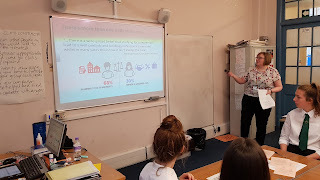 Lou Murphy, our Careers Advisor and her colleague from Skills Development Scotland have been running sessions with all S6 classes covering a range of topics to support students in planning for their next steps. Areas which students have found particularly helpful have included advice about completing personal statements, achieving success, using the STAR technique in interview situations, an introduction to recruitment methods and labout market information, looking at live information for the City of Edinburgh. "I can confidently access and interpret the information I need to make well informed choices about my learning options, pathways and how these relate to possible future careers." "I can draw appropriately on evidence from my skills profile to help me complete application forms, create CVs and when practising interview techniques." Who do you want on your life raft? Who do you want on your life raft? Choose five jobs with the skills that you need to survive! Our S1 PSE classes are currently enjoying visits from Lou Murphy, our Skills Development Scotland Careers Advisor. They have been exploring skills and qualities and thinking about how these tie in to the world of work. All pupils are being encouraged to create a profile on My World of Work and they have been given a copy of Future Me, a magazine introducing careers and all that Skills Development Scotland has to offer. The following new items have been added to the school Careers Library. If you need help to find anything, ask Ms Aleksandrowicz, the Librarian. 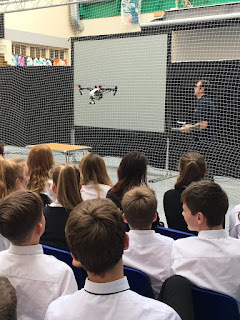 S5 students from Boroughmuir, James Gillespie's, Liberton, Gracemount and St Thomas of Aquin's enjoyed a positive start to their Career Ready journey this afternoon. Andrew Cunningham of Visit Scotland led a lively Masterclass looking at Knowing the Programme and Knowing Yourself. 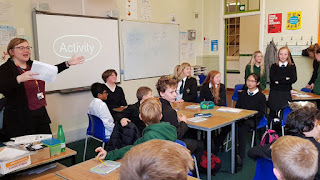 Students worked at identifying their own skills and qualities, understanding their personal motivation, developing self-confidence and setting personal goals. The next step will be for them to meet the business mentors they will be working with over the next two years.